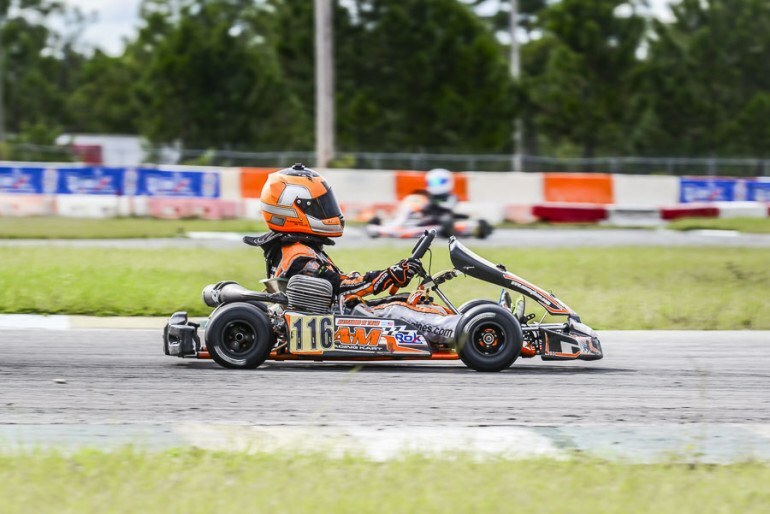 SEPTEMBER 24, 2015 (ORLANDO, FL) — ROK Cup USA held its finale this past weekend at the Orlando Kart Center track, ending its 5-round season. 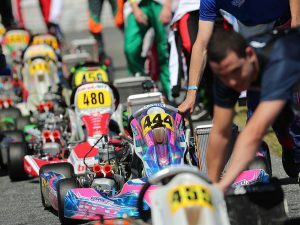 The event saw an unprecedented number of drivers attend, demonstrating that the series is consistently growing. It was an exciting weekend, with quite a few shake-ups in Sunday’s finals that altered the fate of the championship for some drivers. In Micro ROK, Jeremy Fletcher in the #22 held on to his lead, winning both the final and the championship. After qualifying 4th, he drove impressively in heat 1 with a P1, while he finished P2 and P4 in the remaining two heats. In the Pre-Final he came in P4, but in the Final he drove smart and finished P1 just in front of Benik driver James Egozi. The Mini ROK class was stacked, and the competition was fierce all weekend long. Front-runner Alessandro Famularo in the Benik #110 took the top position in qualifying and heat 1, his brother Anthony in the AM #120 ending up the top spot for heat 2, and Benik’s Lachlan Defrancesco in the #130 took P1 in heat 3. In the Pre-Final it was back to Alessandro Famularo but in the final, the driver made contact with #155 Reece Gold, leaving AM driver Alessandro De Tullio #116 to take the win. 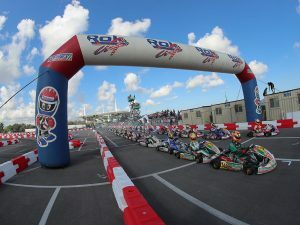 The weekend shook up the placements in the championship for Mini ROK, with the overall win going to Benik driver Lachlan Defrancesco. 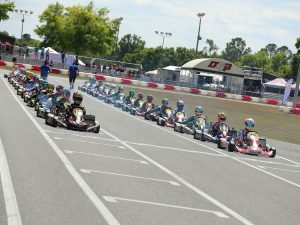 Junior ROK saw Mathias Ramirez from OGP walk away with the win for the weekend, while Anthony Gangi Jr. managed to hold on to his points lead to take the championship. In Senior ROK, Ryan Norberg in the #348 dominated the weekend, sweeping both race days, taking home both the final victory as well as the championship. Gonzalo Aponte confirmed his top spot in the Master ROK class. Even with an issue in heat 3, he still managed to take home the win on Sunday and secure his championship victory. In the Shifter ROK classes, it was Austin Garrison who dominated the Senior class with the win in Sunday’s final and the championship. In Master, Tom Hankinson had a superb weekend, with a fantastic drive in the final taking him to P1 both for the race weekend and in the championship. The championship winners from six of the seven classes will soon get to go up against the best in the world at the ROK International Final, taking place at the South Garda Track in Italy on October 14-17.